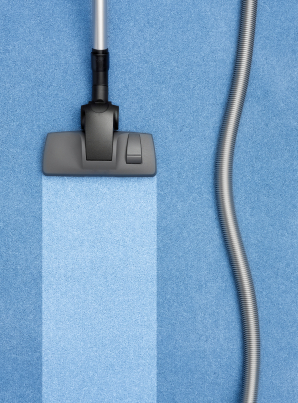 How Often is Often Enough When It Comes to Clean Carpets? How often do I clean my carpet? What happens if I don’t clean my carpet all that often? How much does carpet cleaning take out of my paycheck? Normally a carpet should be cleaned twice a year. Knowing that, Spring and Fall are the best seasons to consider because winter is in between. The cold winters cause people to close up their houses to keep in the warmth and keep out the cold. In doing so, the carpet starts to gather all sorts of particles that somehow find their way into the house, with no choice but to settle down for the winter. This causes all those particles to filter into the carpet, creating a less than healthy environment. Thus Spring is the best way to clear out all the junk in the carpet after letting it gather during the shuttered winter months. Now for the opposite reason of Spring, Fall is a good time to get out all the pesky particles before the cold comes. By cleaning carpets in the Fall you can clean up the dirt of summer as well as starting the winter off right–clean and clear. There are special circumstances that require more frequent visits, such as a pet or an abundance of dirt-wielding kids running around the house. If you have one or both of these, you may want to look into cleaning maybe a time or two more than twice a year. What Happens if I Don’t Clean It? When you don’t have your carpet cleaned often enough dust and pollen start building up. Carpet cleaning not only cleans out all the pesky little allergy-causing residents but also is for the everyday stains and spills of life. Stain-resistant carpets need less care and attention, right? Not quite. While the carpet says stain resistant it doesn’t say stain proof. A stain-resistant carpet is designed to slow down the staining agent from causing permanent damage while someone runs to grab a rag and cleaner. While a stain resistant carpet is less likely to leave a jarringly obvious stain, it still needs to be taken care of. 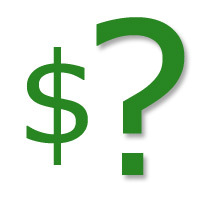 There are many factors that come into play when determining cost. Before any of these affect the overall cost, there is a base price. Then depending on square feet, type of carpet, and the level of dirtiness the price goes up. Professionals have the awesome ability to take your dirty, tired carpet and allow it to breathe again. Not only that but those beautifully clean carpets also enable the environment in your home and those around you to breathe in fresh and clean air, untainted by the allergens caught in your carpets. When addressing the factors like the type of carpet and how dirty it is, the easiest way to see how it’ll affect your carpet is easy. The dirtier it is the more it’ll cost. With a stain resistant carpet the price is affected because there are manufacture specifications as to what it takes to bring that carpet back to its original clean, stain-resistant state. On a positive note, getting your stain-resistant carpet professionally cleaned means the pros will reapply that resistant coating that was there when you bought the carpet. Overall the cost generally turns out being 20 cents to 65 cents per square foot. « Clean your patio furniture and RV’s today! !